"The Impulse towards a Safer World"
Washington, D.C., March 21, 2018 – The Nuclear Non-Proliferation Treaty (NPT), widely accepted today as a global standard for international nuclear policy, was in fact a source of significant tension between two staunch allies, the United States and West Germany, in the mid-1960s, as illustrated by declassified documents published for the first time today by the National Security Archive and the Nuclear Proliferation International History Project. Washington’s urging that Bonn support the NPT faced opposition from many conservatives in the ruling West German coalition who saw it as discriminatory and liable to leave Bonn “defenseless” against possible Soviet “threats or blackmail.” Such concerns were unlikely to find much sympathy in Washington, Moscow, London, Paris, Warsaw, and elsewhere, where memories of German aggression were still fresh. It would take new elections to bring a government to power, under Chancellor Willy Brandt, that would eventually sign off on the treaty in November 1969. Marking the 50th anniversary of the NPT’s approval by the United Nations General Assembly, today’s posting concludes a two-part series on U.S.-West German interactions on nonproliferation from the late 1950s to 1969. This collection of documents concludes a two-part series on U.S.-West German interactions on nonproliferation from the late 1950s to 1969, when Germany signed the Nonproliferation Treaty. The declassified record on this topic is enormously rich and varied; it sheds light on U.S.-West German interactions, on U.S. official perceptions of West Germany, and the concerns that U.S. allies and adversaries had about West Germany’s nuclear potential. Marking the 50th anniversary of the approval of the NPT by the United Nations General Assembly, today’s publication covers developments from 1963 to the late 1960s, beginning with 1963-1965, when policymakers saw the proposed Multilateral Force (MLF) as potentially valuable for tying West Germany closer to NATO while curbing proliferation risks. By mid-1966, however, Washington gave top priority to reviving the stalled NPT negotiations and abandoning MLF proposals. That development increased U.S.-West German tensions during 1966-1967, when congressional calls for cuts in U.S. force levels in NATO Europe were raising concern about the value of U.S. security guarantees. The U.S.-Soviet understanding reached during the fall of 1966 on no-transfer of nuclear weapons “whatsoever,” which ruled out MLFs, satisfied the Soviets that there were no “secret” arrangements providing “cover” for West German access to nuclear weapons, and met West German interest in a future nuclear-armed European federation. The message from President Lyndon B. Johnson that Vice President Hubert Humphrey was to convey to Kiesinger: The President did not intend “to do [the Germans] in,” but the NPT was a “high priority” for him. A telegram recounting a private statement by West German Social Democratic parliamentarian Erhard Eppler that his party was the only political force that could put “NPT policy onto a rational course, where Germany would gracefully accept the unavoidable and perhaps gain some good will” instead of feeding suspicions that the Germans wanted the bomb. After China staged its first nuclear weapons test in October 1964, the risks of nuclear proliferation received greater attention in Washington and so did interest in a nonproliferation agreement. By mid-1965 the U.S. delegation at the Eighteen Nations Disarmament Conference (ENDC) at Geneva was preparing the draft of a nonproliferation treaty. Even when it was submitted in August 1965, the draft was dead in the water for the same reason that the Kennedy administration’s early non-dissemination proposal had secured little traction: the draft left open the possibility of MLF-type arrangements. The Soviet Union objected, as it had before, because it saw the MLF and a competing British proposal for an Atlantic Nuclear Force (ANF) as risky projects that could bring West Germany closer to a nuclear weapons capability. I hope he is half as scared as I. The Johnson administration’s support for an MLF was less than full-throated, but it had enough influential supporters, especially at the Department of State and the White House, to keep it on the agenda. They too had World War II memories, but they feared that excluding West Germany from a role in NATO alliance nuclear decisions could lead a future nationalist-minded German government to seek an independent nuclear role of its own. Such concerns influenced the MLF proposal as well as proposals for creating formal institutions for NATO consultations on nuclear planning. Also bearing on the matter was West Germany’s role as a deployment site for U.S. tactical nuclear weapons that would be available for use by West German armed forces if war broke out in Central Europe. The Soviets had been sharply critical of the U.S. deployments (as well as proposals for consultations), which U.S. policymakers saw as essential for giving West German forces a wartime nuclear mission. While top U.S. officials had assured the West Germans of their support for an MLF, by the summer of 1966 thinking began to change. Not only had the MLF proposal met strong objections from influential members of Congress, the Soviets, the French, and the British, U.S. support for it was causing the NPT negotiations to stagnate. That development facilitated a meeting of minds between U.S. and Soviet negotiators at Geneva on “no-transfer” language which would exclude “collective” options giving non-nuclear states, such as West Germany, indirect access to nuclear weapons and, at the same time, protect the most essential U.S. requirements (nuclear deployments and consultative arrangements), none of which involved actual transfers. At the same time, the language would preserve the option of a future European federation that owned and controlled nuclear weapons inherited from France or the United Kingdom, which U.S. officials saw as valuable for winning West German support. The no-transfer formulation was central to the NPT. Articles I and II covered the obligations of nuclear weapons and non-nuclear weapons states, prohibiting the transfer or receipt of nuclear weapons or nuclear explosive devices or assisting their manufacture or receiving any assistance towards that end. With the emphasis on proscriptions, ACDA and State Department officials argued that “what is not in the treaty is not prohibited.” Thus, U.S. nuclear weapons deployments in West Germany would be permissible as long as the weapons were not transferred to West German military units. 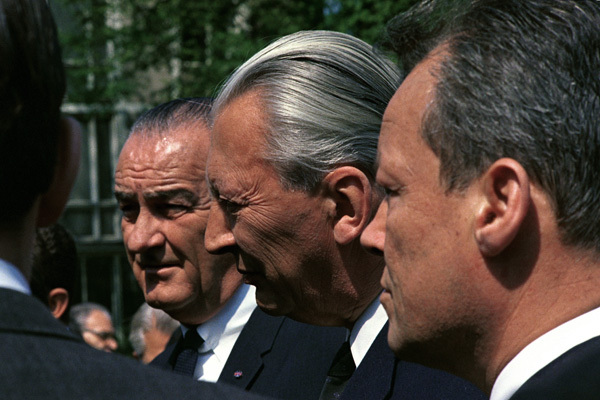 The U.S.-Soviet talks during September-November 1966 were a turning point in the NPT negotiations whose results caused anxiety in Bonn and tension in U.S.-German relations. 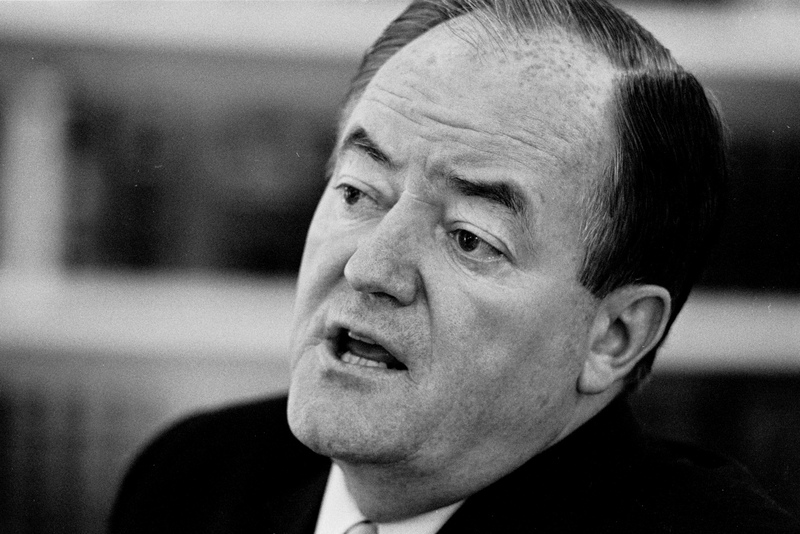 According to an ACDA official, Washington was “victimized by [its] previous record of staunch and forthright support of German interests prior to [September 1966].” Rusk had not consulted Bonn until an understanding had been reached with Soviet negotiators. 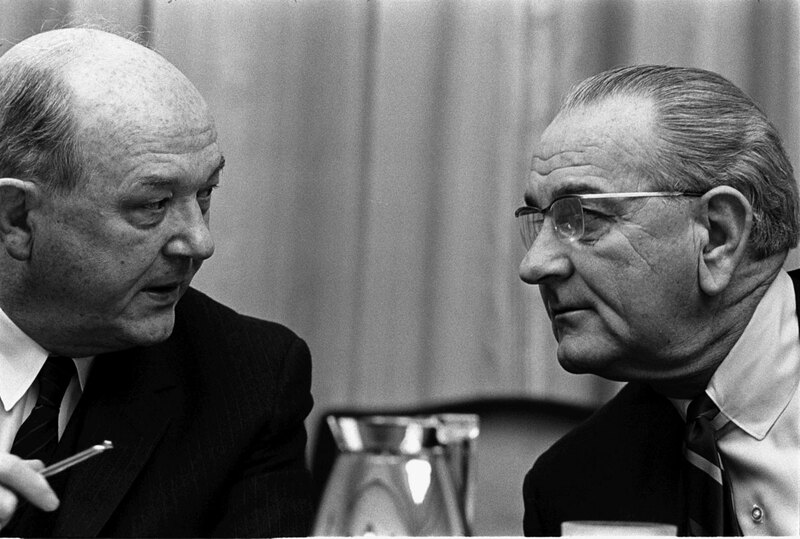 As important as good relations with Bonn were to Rusk, he gave top priority to reaching an understanding with Moscow, in substantial part to protect existing U.S.-West German nuclear arrangements. 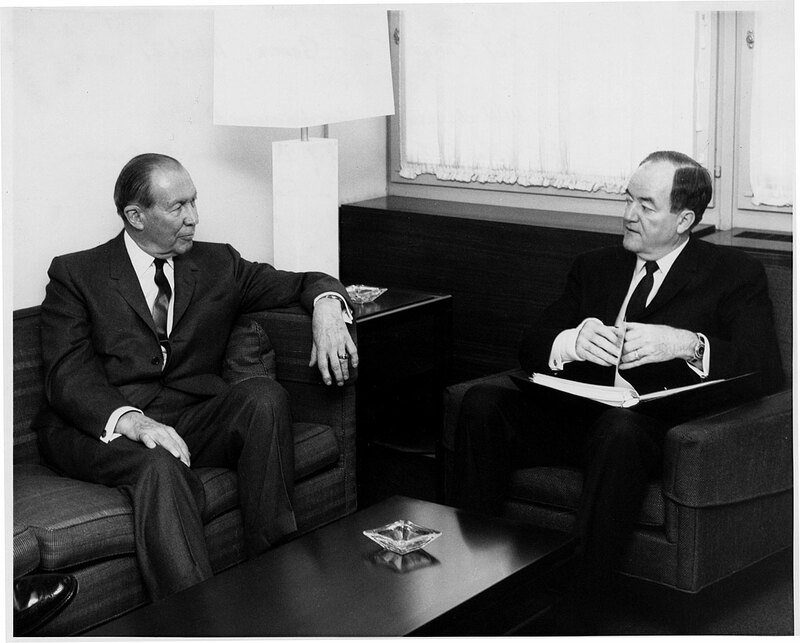 Thus, once a Moscow-Washington agreement was reached, Rusk moved to get talks with Bonn on track, as did the new Foreign Minister Willy Brandt. Chancellor Kurt Kiesinger called the shots, however, and he was vexed by the gap in consultations, among others concerns. Taking a non-coercive, low pressure approach, Washington made assurances to Bonn that the NPT would protect existing nuclear weapons arrangements, permit nuclear consultations, and preserve the option of a future nuclear-armed European federation. Believing that the NPT negotiations would fail, Bonn asked for more changes, including Soviet “concessions,” and expressed disagreement with the U.S.-Soviet understanding that the NPT would have an indefinite duration. Kiesinger sought to limit it to ten or twenty years, so that Bonn could evaluate the Treaty before committing to its extension. Also adding to delay was the months of U.S. negotiations with the Soviets and other parties before Article III, on the role of International Atomic Energy safeguards, was acceptable to Bonn. The West Germans, like other non-nuclear weapons states, also pressed for treaty language covering the obligations of nuclear-weapons states to share peaceful nuclear technology and to undertake nuclear disarmament negotiations. Despite changes in the treaty text made to address such concerns, the coalition government was fractured, with Kiesinger and the moderate Christian Democrats highly critical of the NPT and others, such as Strauss, strongly opposed to it. Thus, Kiesinger postponed a decision to sign. It took the formation of a new government, headed by Willy Brandt, for West Germany to sign the treaty in November 1969. While Brandt was ambivalent, he believed that Bonn had to sign so that it could move forward on Ostpolitik with the Soviet bloc, avoid damage to relations with the United States and to the Federal Republic’s standing in the community of nations, and also give West Germany scope for developing a commercially-oriented nuclear industry. Leaving aside the serious political and diplomatic conflicts that a German nuclear program would cause, the NPT and the 1990 agreement prohibited independent German nuclear forces unless Berlin renounces previous agreements. Nevertheless, as U.S. officials recognized at the time of the negotiations, the NPT would leave open legal options for collective European forces as long as they did not involve a transfer of nuclear weapons to the hands of the German government. During the NPT negotiations, West German diplomats sought, and U.S. officials made, assurances about the compatibility of the treaty with a future nuclear-armed European federation (which the Germans thought might be closer than turned out to be the case). The issue was whether a future European federation could inherit the nuclear forces of the member states, such as France, which had joined the federation. U.S. officials avowed that such a “European option” would be entirely consistent with the NPT because Germany had merged its defense policies with its European partners. No member nation, including Germany, would control the weapons. An option recently considered by experts working for the Bundestag--German financial support for French nuclear weapons programs used to protect Germany and Europe in general--would also be legal. It would probably require drastic changes in the European security situation, however, before France considered “merging” its force de frappe into a European defense system.
. See Susanna Schrafstetter, “The Long Shadow of the Past: History, Memory and the Debate over West Germany's Nuclear Status, 1954-69,” History & Memory 16 (2004): 118-145.
. See, for example, Susanna Schrafstetter and Stephen Twigge, Avoiding Armageddon: Europe, the United States, and the Struggle for Nuclear Nonproliferation, 1945-1970 (Westport: Praeger, 2004), 155.
. For West German thinking and perceptions of U.S. policy, see Andreas Lutsch, “In Favor of ‘Effective’ and ‘Non-Discriminatory’ Non-Dissemination Policy: The FRG and the NPT Negotiation Process (1962-1966),” in Roland Popp, Liviu Horowitz, and Andreas Wenger, eds. Negotiating the Nuclear Non-Proliferation Treaty (London: Routledge, 2017), 36-57.
. For the negotiations over the “nontransfer” language, see George Bunn, Arms Control by Committee: Managing Arms Control with The Russians (Stanford: Stanford University Press, 1992), 59-82.
. For an interpretation emphasizing coercive tactics, see Gene Gerzhoy, “Alliance Coercion and Nuclear Restraint: How the United States Thwarted West Germany's Nuclear Ambitions,” International Security 39 (2015): 91-129. For Jonas Schneider’s critique and Gerzhoy’s reply, see “The United States and West Germany’s Quest for Nuclear Weapons,” International Security 41 (2016): 182-185.
. For West German objections and the strategy of delay, see Schrafstetter and Twigge, Avoiding Armageddon, 182-185, For Brandt and the NPT, see William Glenn Gray, “Abstinence and Ostpolitik: Brandt’s Government and the Nuclear Question,” in Carol Fink and Bernd Schaefer, eds., Ostpolitik, 1969-1974 (Washington, D.C.: German Historical Institute, 2009), 244-268. Also helpful for shedding light on West German politics and policy is Jonas Schneider’s, “The Diffusion of Non-Nuclear Postures among U.S. Allies – Explaining West Germany’s Nuclear Reversal,” Paper prepared for the International Studies Association Annual Convention, San Francisco, CA, April 3-6, 2013. Bonn was not the only European government with objections to the NPT; see Leopoldo Nuti, ‘“A Turning Point in Postwar Foreign Policy’: Italy and the NPT Negotiations,” 1967-1969,” in Popp, Horovitz, and Wenger, eds., Negotiating the Nuclear Non-Proliferation Treaty, 77-96.
. Tristan Volpe and Ulrich Kühn, “Germany's Nuclear Education: Why a Few Elites Are Testing a Taboo,” Washington Quarterly 40 (2017): 7-27.
. Max Fisher, “European Nuclear Weapons Program Would Be Legal, German Review Finds,” The New York Times, 5 July 2017.
. For the test ban controversy, see Schrafstetter, “The Long Shadow of the Past,”131-132, and Marc Trachtenberg, A Constructed Peace, 394-395.
. For the ANF proposal, see Schrafstetter and Twigge, Avoiding Armageddon, 145-154, and Matthew Jones, The Official History of the UK Nuclear Deterrent: Volume II: The Labor Government and the Polaris Program, 1964-1970 (London: Routledge, 2017).
. For interpretations of the Gilpatric report, see Shane J. Maddock, Nuclear Apartheid: The Quest for American Atomic Supremacy from World War II to the Present (Chapel Hill: University of North Carolina Press, 2010), 237-244, and Hal Brands, “Rethinking Nonproliferation: LBJ, the Gilpatric Committee, and U.S. National Security Policy,” Journal of Cold War Studies 8 (2006): 83-113.
. Maddock, Nuclear Apartheid, 263.
. According to Piotr Wandycz, Winiewicz was a “prewar journalist of rightist leanings, later an official of the Polish government in London specializing in German affairs, and in 1946-1955 Warsaw's ambassador to Washington, a career that smacked of opportunism. Winiewicz was undoubtedly an intelligent man, and foreign observers commented on his elegant manners, command of languages, and wide political horizons, as well as on his wit and occasionally mischievous behavior. They did not doubt his Polish patriotism.” See Piotr Wandycz, “Adam Rapacki and the Search for European Security,” in Gordon A. Craig and Francis L. Loewenheim, eds., The Diplomats (Princeton: Princeton University Press, 1994), 294. Thanks to Douglas Selvage for the reference.
. See Douglas Selvage, “The Warsaw Pact and Nuclear Nonproliferation 1963-1965,” Cold War International History Project Working Paper No., April 2001.
. Soviet opposition had not been unflinching because during 1963-1964 Nikita Khrushchev considered the possibility of dropping objections to the MLF in exchange for a nonproliferation agreement, a possibility that Poland's communist leader, Władysław Gomułka, strongly opposed and ultimately beat back. Ibid, especially 3-4, 7, and 12-14.
. For background, see Maddock, Nuclear Apartheid, 262-268.
. George Bunn, Arms Control by Committee,73.
. Schrafstetter, “The Long Shadow of the Past,” 135.
. Schrafstetter, “The Long Shadow of the Past,” 127.
. See Gray, “Abstinence and Ostpolitik,” 251-258.
. For the Italian debate and the implications for West Germany, see Leopoldo Nuti, “Italy as a Hedging State? The Problematic Ratification of the Non-Proliferation Treaty,” in Elisabetta Bini and Igor Londero, editors, Nuclear Italy: An International History of Italian Nuclear Policies during the Cold War (Trieste, EUT Edizioni Università di Trieste, 2017), 119-139.